The all-new Ford Focus has been completely overhauled, literally from the wheels up. We've heard Ford talk about its 'Global Car' idea in the past and this is the first time they're rolling it out. Basically, Ford reckons its divided the globe up into regions, then used the feedback from customers in that area and tailored a Focus to suit their specific needs. 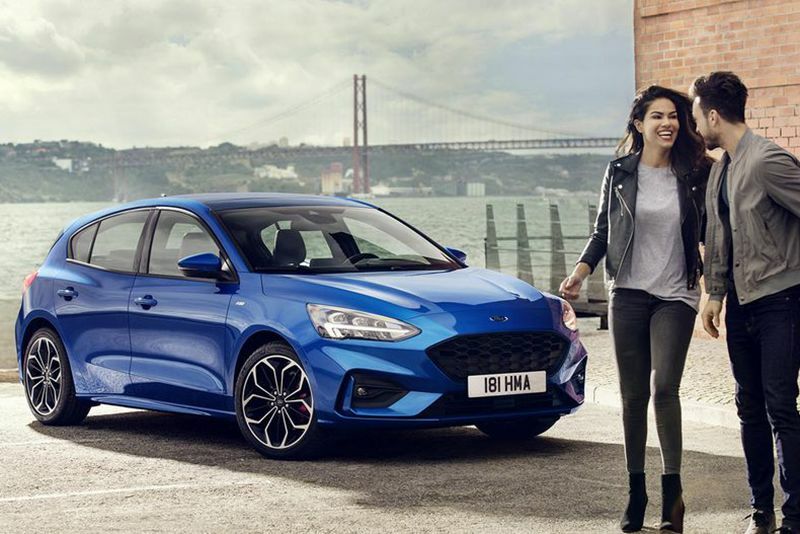 The incoming Focus includes a 4-door sedan, 5-door estate/wagon and 5-door hatchback body style with various trims, like Vignale, ST-Line, Active and Titanium. We'll have to wait to see who gets what closer to launch. Let's take a look at what's new then. An 8-inch colour touchscreen with Apple CarPlay/Android Auto is standard in the larger cabin that's also easier to get in and out of. Space for rear passengers is courtesy of an extended wheelbase and flat floor. There's nearly 61mm of extra shoulder room, while knee's get 51mm and legs receive 71mm more. The all-new chassis and suspension boast a 20% improvement in stiffness, suggesting the Focus will remain enjoyable to drive. The electric power-assisted steering setup is all new too. Ford has said they've "reduced the number of orderable configurations by as much as 92% versus the previous Focus, reducing from up to 360 configurations to as few as 26, depending on the global market. This complexity reduction helps Ford lower and control costs while ensuring Focus customers can more easily and quickly find the model that meets their needs." There's a bunch of new tech that Ford has introduced to the Focus range too. They've got something called Co-Pilot360 which Ford describes as "a suite of advanced driver assist technologies". There's also Adaptive Cruise Control, Ford's Adaptive Front Lighting System, revised Active Park Assist and Evasive Steering Assist which will help drivers avoid collisions by steering around the offending object. Also debuting in the Focus range is a feature called FordPass Connect that converts the Focus into a Wifi hotspot for up to 10 devices, plus there's a wireless charging pad for compatible devices while Ford's SYNC3 connectivity keeps you all Bluetoothed up. Something really cool is the FordPass app; it features a vehicle locator, vehicle status indicator, remote start and door unlock. There are new engines on the cards too. The array of powertrains have various modes, namely Normal, Sport and Eco. There's the award-winning 1.0-litre EcoBoost engine, an all-new 1.5-litre EcoBoost, 1.5-litre EcoBoost petrol, and a 2.0-litre EcoBlue diesel. Power will be sent to the front wheels through either the new 8-speed automatic or a six-speed manual gearbox. The all-new Ford Focus hits European, Chinese and, possibly, the South African markets in 2018 while North America can expect it in the second half of 2019. 2020 Ford Focus Rs To Have 400bhp – Germans Beware!